Day five of our northern Vietnam road trip begins at a relaxed pace at the lovely resort where we spent the night. 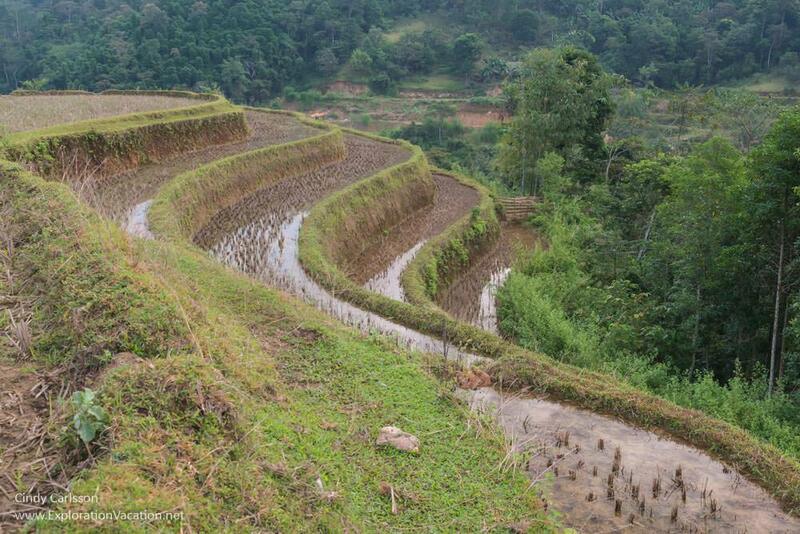 It continues as we wander through the stunning rice terraces that hang along the nearby mountainsides. 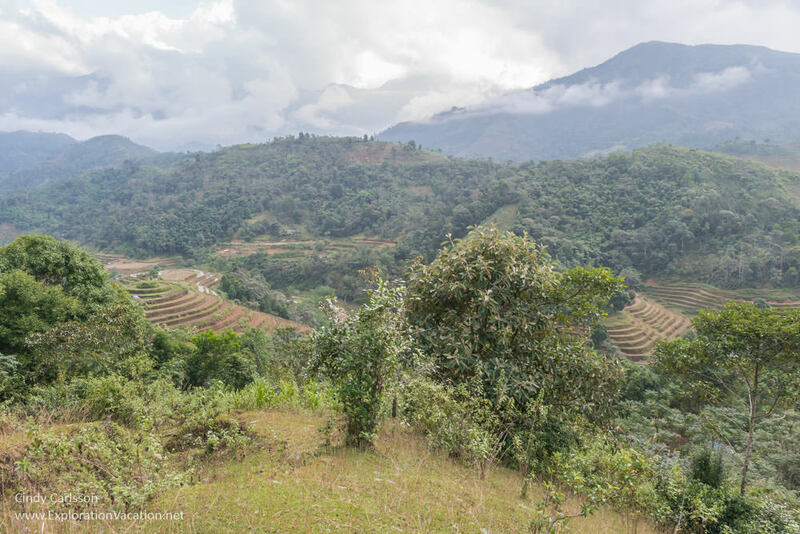 Most of the day is filled with similarly spectacular scenery as we drive through the mountains toward Bac Ha, with only one stop to visit a Flower Hmong village clinging to a mountainside. 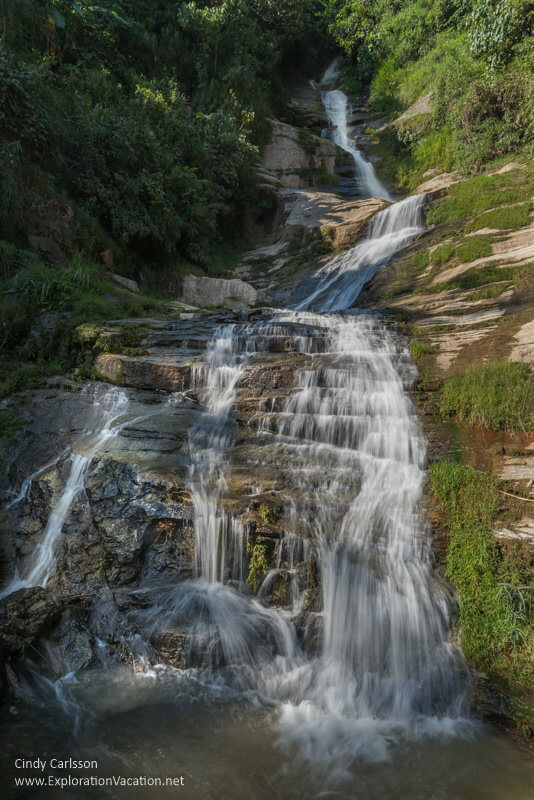 Our northern Vietnam road trip gets off to a bit of a lazy start on day five, giving us time to explore the gorgeous grounds of Pan Hou Lodge. We discover that the resort is spectacularly beautiful, if a bit odd. It was too dark to see much when we got here last night, although we discovered a few of the resort’s quirks (sharp stones set into bathroom floor and a strange dining experience, to name a couple). 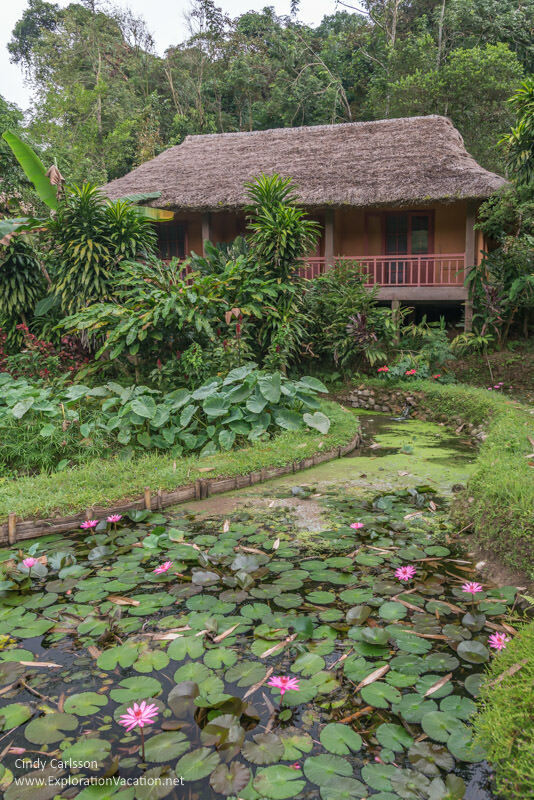 In contrast, this morning we discover some of its attractions, like its beautifully landscaped grounds and water lily ponds. After a bit of exploration (and a dreadful breakfast), we make one last trip over the swinging bridge to the car. 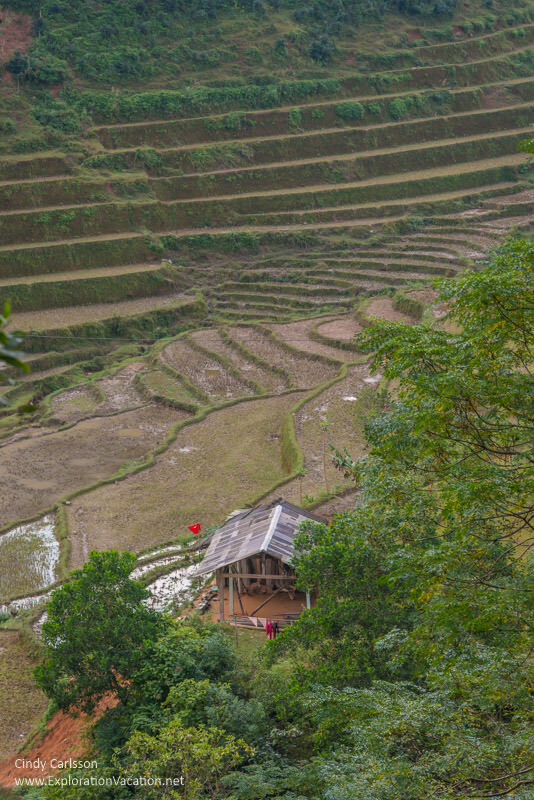 Another day’s adventures off the tourist trail in northern Vietnam have begun. 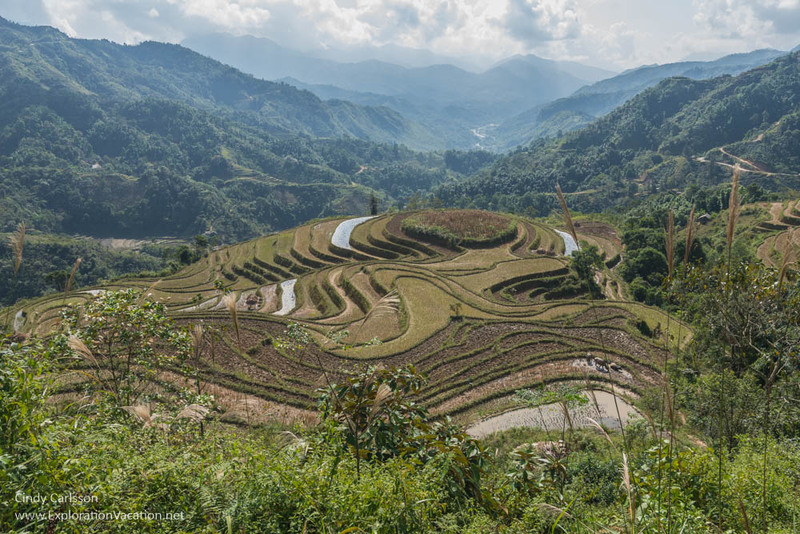 The landscape in this region is as beautiful as any we have seen on our northern Vietnam road trip, with terraces neatly cut into and curled around mountainsides and backed by towering peaks. Fortunately, this morning we have time to get out and explore it on foot. 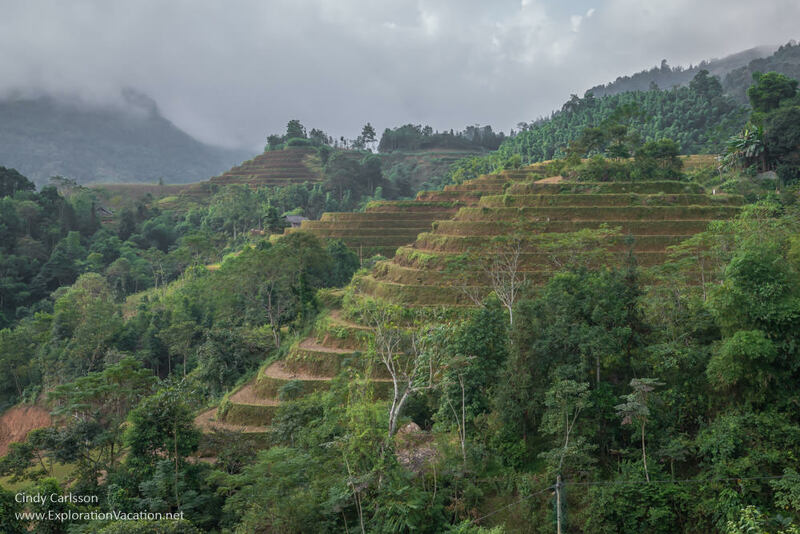 Our guide picks out a trail around and through the terraces and along the ridgelines from one valley to the next. It’s a lot harder walking that it looks, but it is amazing to be part of this breathtaking landscape. Walking here also makes me appreciate even more the amount of work that went into creating (and now maintaining) this landscape. A landscape like this does not appear by accident. It is, however, absolutely magical. Of course, the scenery as seen from the roadside isn’t bad either. 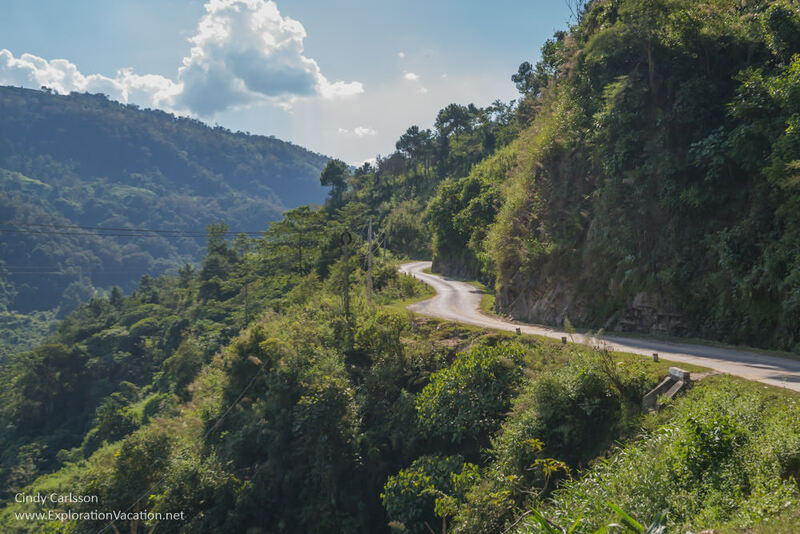 As we drive, we pass mile after mile of terraced mountainsides and sloping valleys. 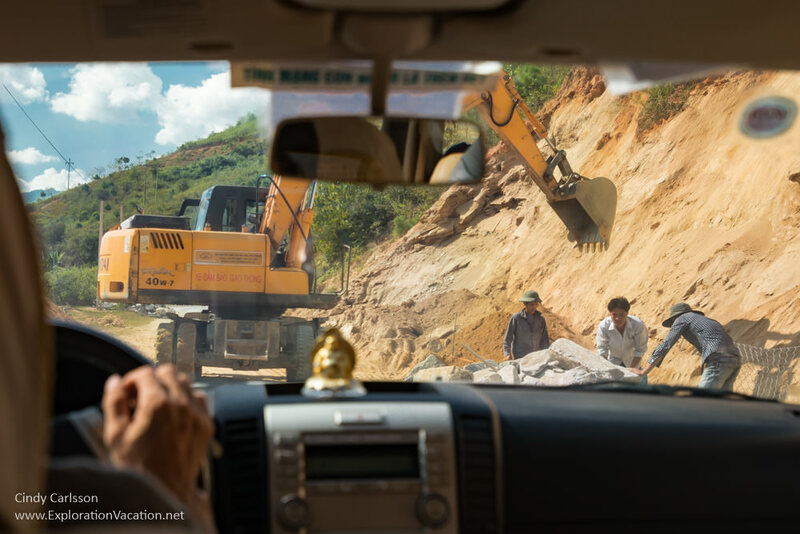 And, after several days without much road construction, we find some again today. Fortunately, today’s road construction is pretty manageable, and soon we are again concentrating on nothing more than beautiful scenery. Late in the afternoon it is time to walk some more. 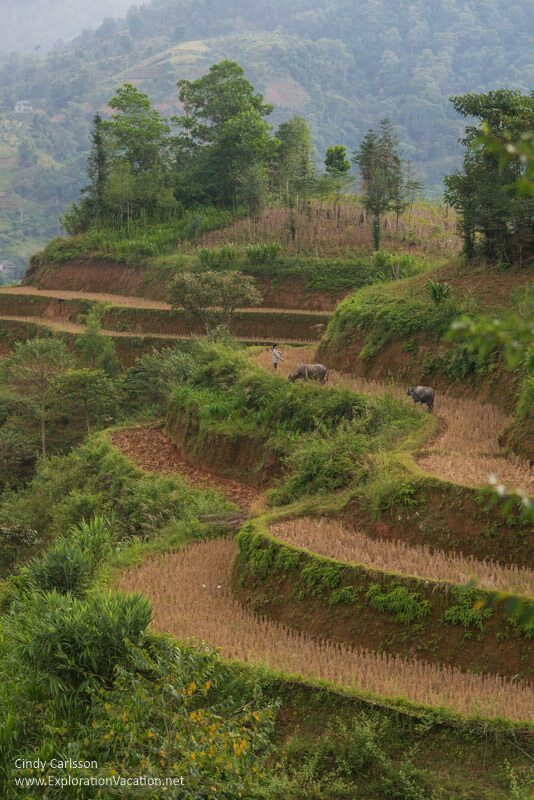 This time we follow a trail that takes us to the Flower Hmong village of Bao Phu. In the village, we are invited into the home of one of the families. It’s a small house for so many people, but it provides warmth, shelter, and a place to gather together to share a meal or watch TV. And, even though the house is very dark inside, the vibrant colors from the women’s clothing and accessories provide a cheerful bit of brightness. 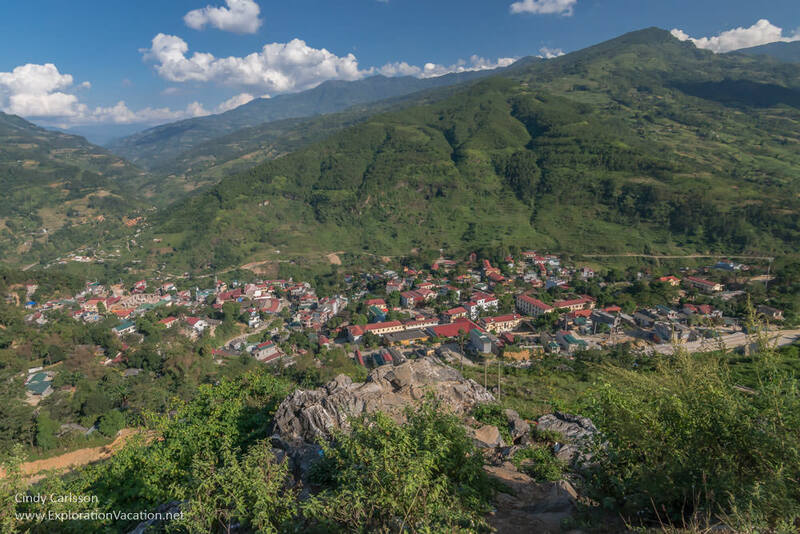 Soon we are back on the road, headed to our own home for the night in Bac Ha. Stunning! I’m loving your Vietnam trip. I have a cousin that lives part time in Thailand. He travels all over Asia and the pics he posts on Facebook make me drool. We haven’t traveled to Asia yet. One day we’ll get there but for now I’m visiting through these posts. Thanks for taking me along the adventure. Thank you! 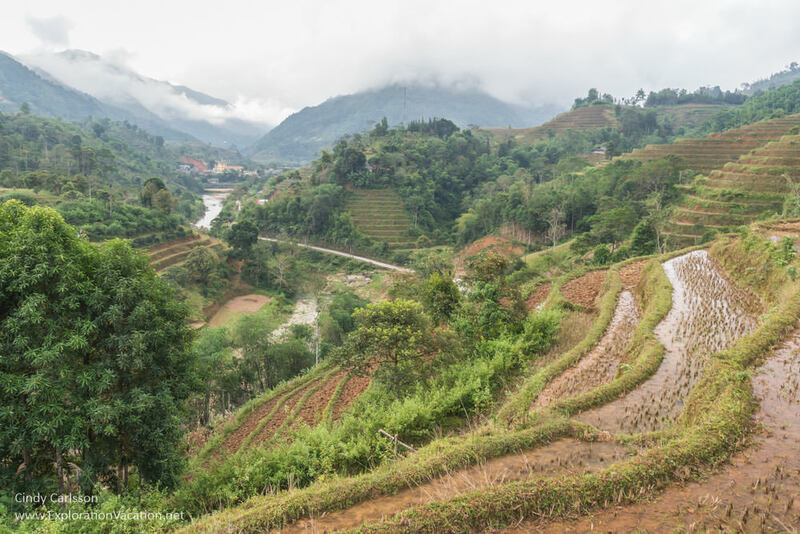 We were really surprised by Vietnam – it was much more interesting and friendly than we were expecting. And the far north was amazing – wonderful scenery and so many ethnic minorities that still build traditional houses and wear traditional clothing (or modifications there-of) on a daily basis. (Much more so than Laos or even Thailand.) I hope you get there – there isn’t any place in SE Asia we haven’t liked. . . and it is all very inexpensive (especially compared to NYC!). Now if it just weren’t for that long flight. . .